Schenna (ital. 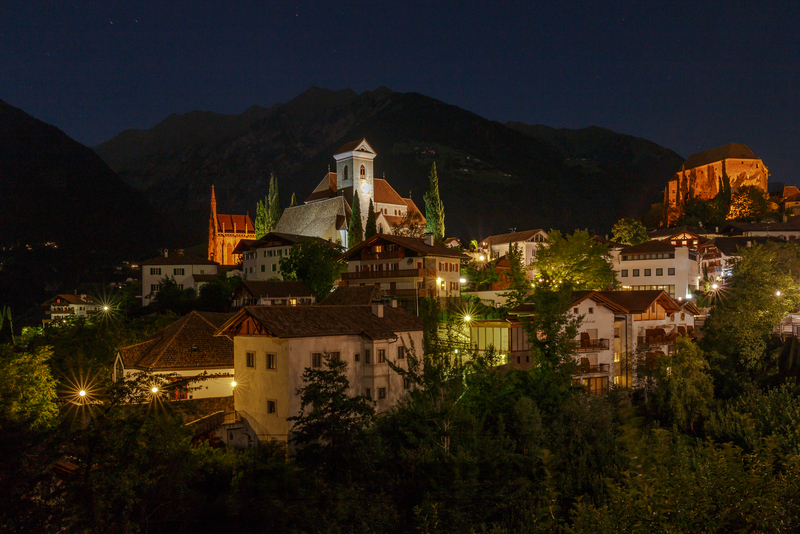 Scena) is a lovely alpine village near Meran in Alto Adige, north Italy. This is the center of the village at night.